They hold books and help keep us organized. 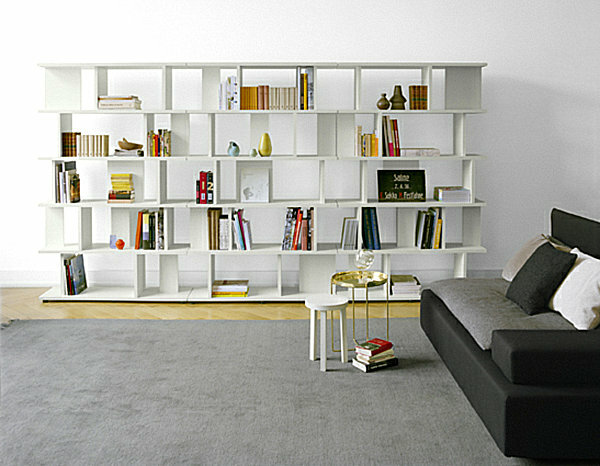 They are bookshelves, and without them, our homes would be filled with piles of reading materials! 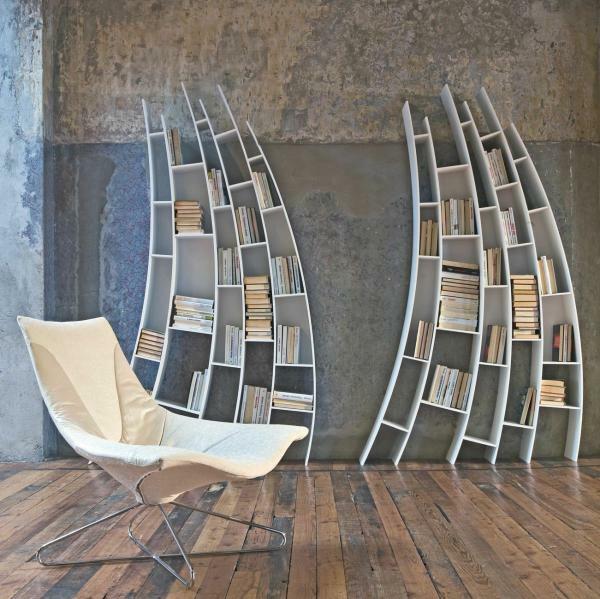 But what if bookshelves could be as fun as they are functional? 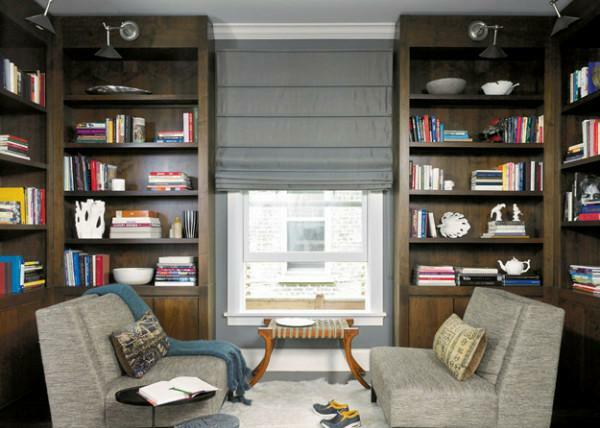 Today we explore ways to use bookshelves to heighten our design possibilities. 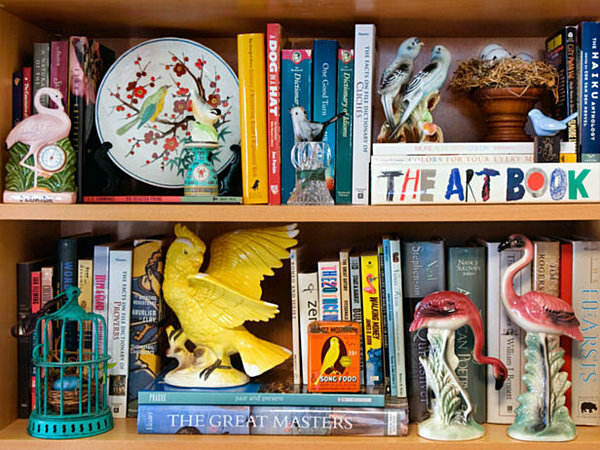 What if decorating your bookshelf were as important as decorating the living room? Below you will find our decorating tips, complete with visuals to illustrate the techniques we suggest. 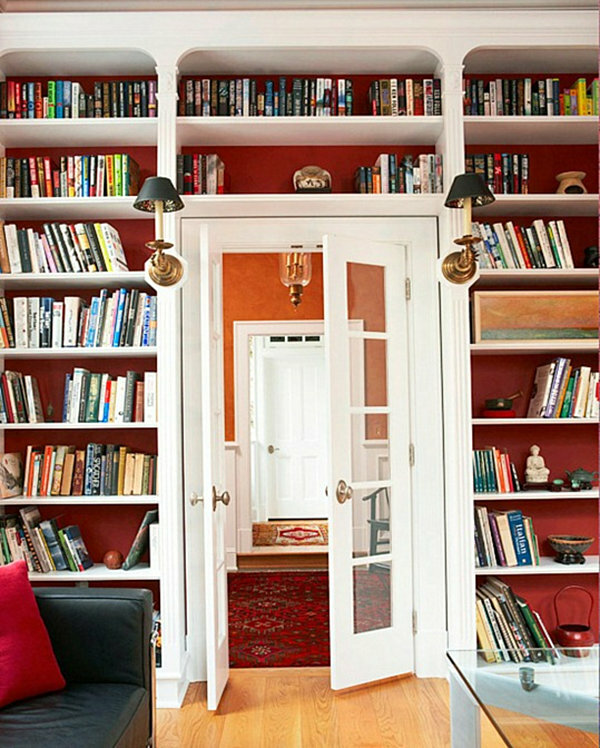 From shelves packed with books to shelves that make strategic use of empty space, you’re bound to find an idea that meets your design needs. 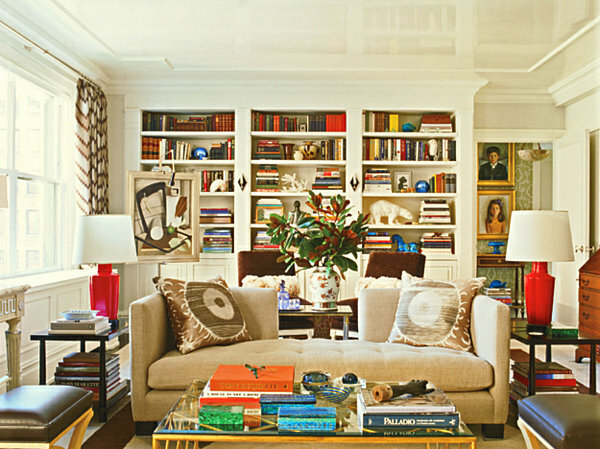 Who knew that books could be viewed as decor?! We begin with some bookshelf basics. When you’re planning your display, consider the function of the shelf. 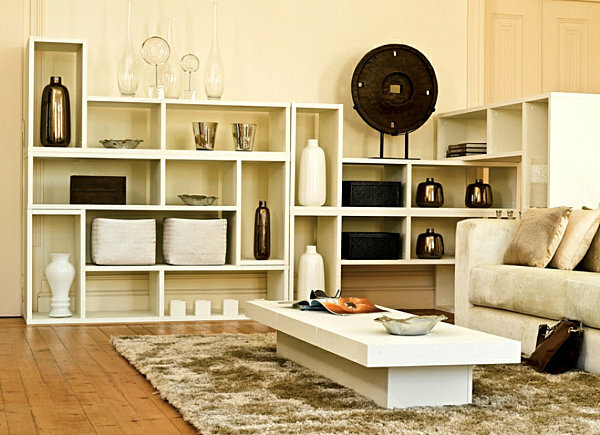 Do you need your shelving to hold a large number of books, or is there room to spotlight home decor treasures? Idea #1: Balance books with decorative items. Idea #3: Leave some empty space. We now zone in on the books themselves. 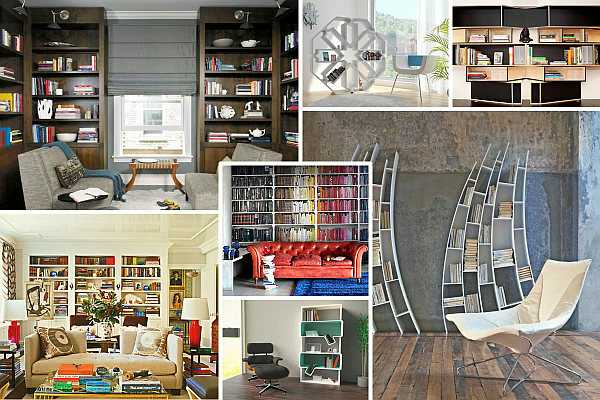 Since the purpose of a bookshelf is to store reading materials, let’s take a look at ways to showcase them in style. Idea #4: Add interest with leaning books. Idea #5: Stack books for variety. 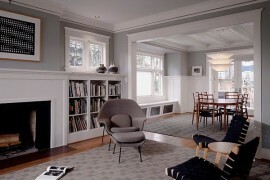 Idea #6: Use a limited color palette. Idea #7: Cover books in uniform paper. 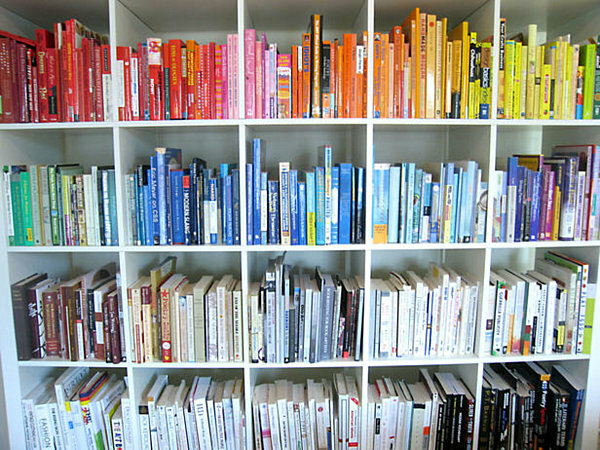 Idea #8: Arrange books by color. Idea #9: Create a gradient effect. 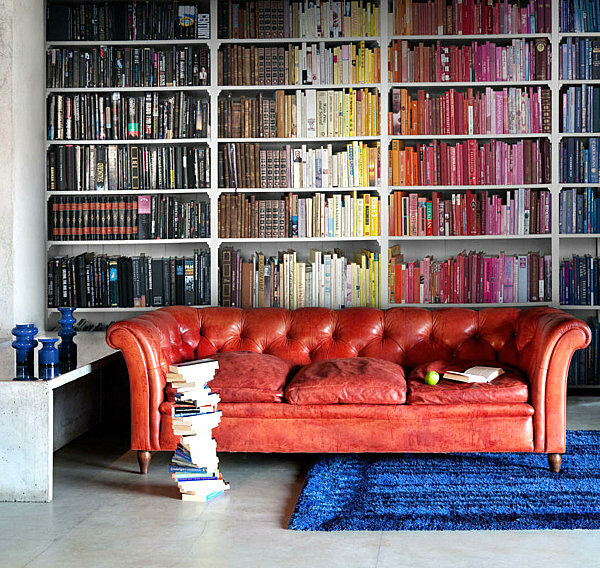 Idea #10: Use books as decorative pops of color. It’s time to revisit our non-book items. 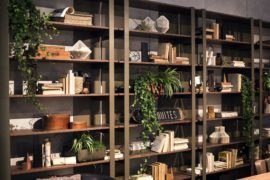 With the reading materials carefully arranged, let’s take a look at other ways to make your bookshelf stand out. 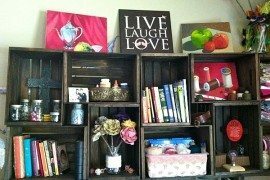 Idea #11: Hide clutter with boxes. Idea #12: Use uniform binders. 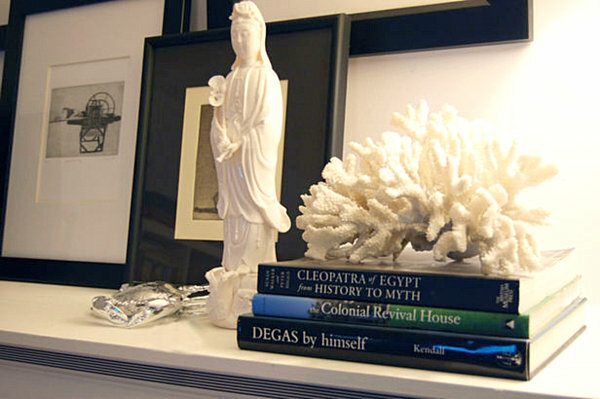 Idea #13: Display a collection of decorative items. Idea #14: Create a sense of depth with art. 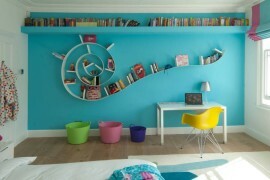 Idea #15: Paint the back wall of your bookshelf. 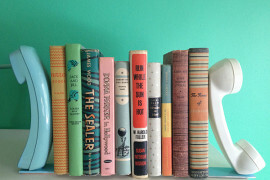 Paint the inside of your shelf. It’s that simple! 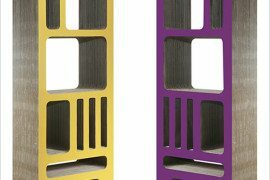 This design tip has soared in recent years, as design lovers unwilling to commit to a bright paint color for an entire room are getting a touch of bold color by introducing it via the bookshelf. Plus, the paint really makes the contents of the shelf stand out! Idea #16: Paint the top, bottom and side interior of the shelves. 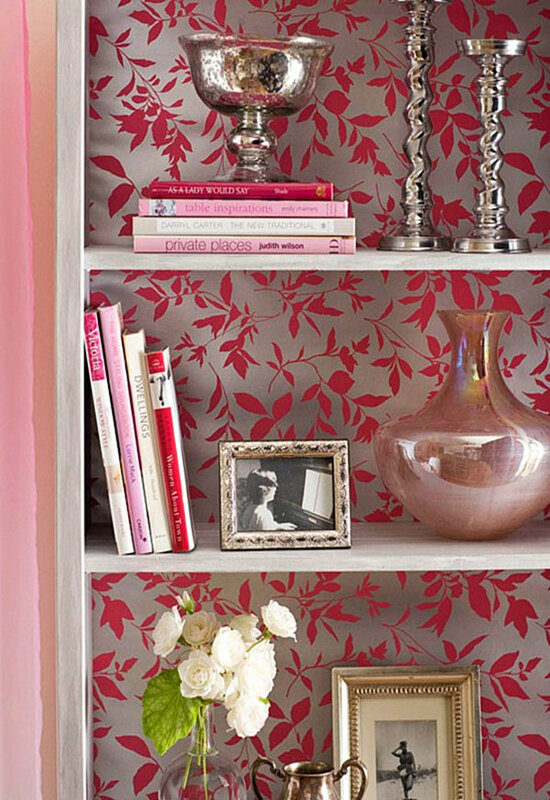 Idea #17: Wallpaper the shelf’s interior with a bold geometric print. 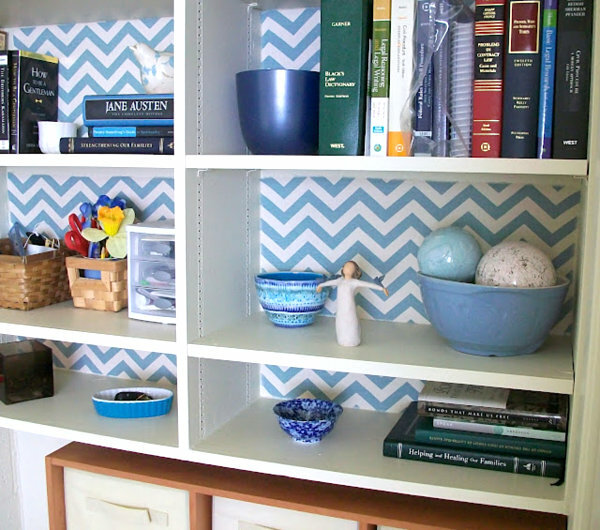 On a similar note, wallpaper breathes new life into bookshelves, especially when a bold geometric pattern is used along the back interior wall. To get the chevron print look below, check out the full tutorial from Feathers Flights. Idea #18: Use wallpaper to add metallic detail. 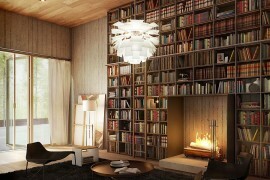 Idea #19: Choose an architecturally interesting bookshelf. 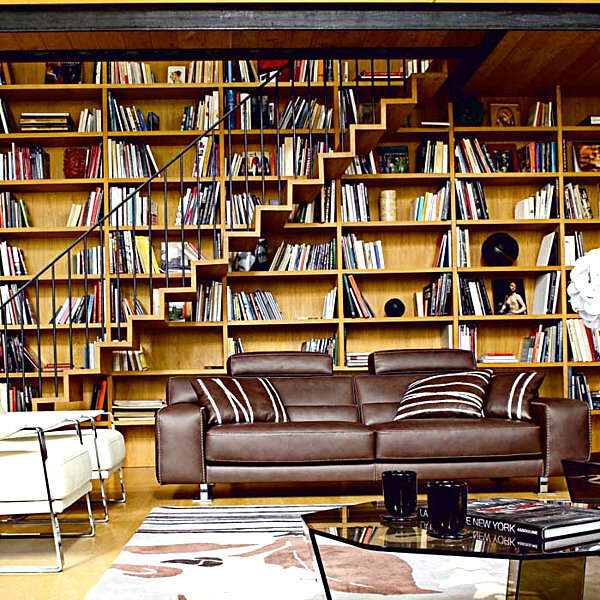 Idea #20: Select a bookshelf that is a work of art. As you’ve probably figured out, combining all of the ideas above is impossible! You can’t pack a shelf with books and leave loads of empty space at the same time. 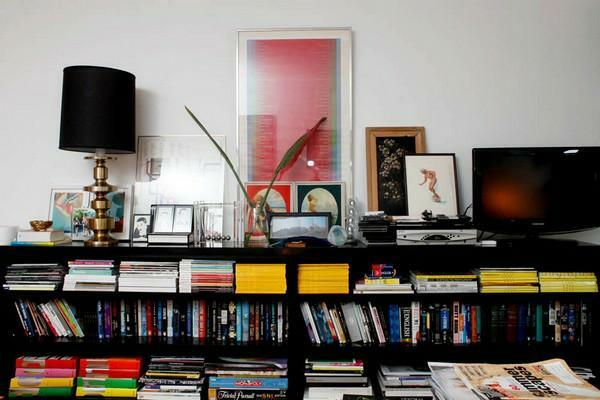 Nor can you display a collection of decor items while stocking a bookshelf with nothing but binders. 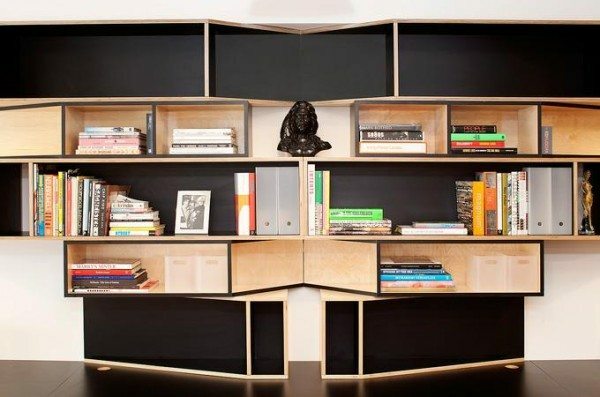 Your shelving should meet your specific design needs. If you don’t own many books, use the shelf as a display area for your favorite collectibles. 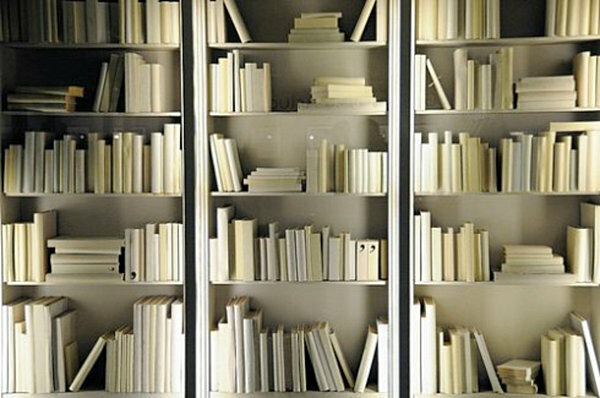 If you desperately need shelving to hold your large book collection, fill it up, but try color coding the books to make a design statement. 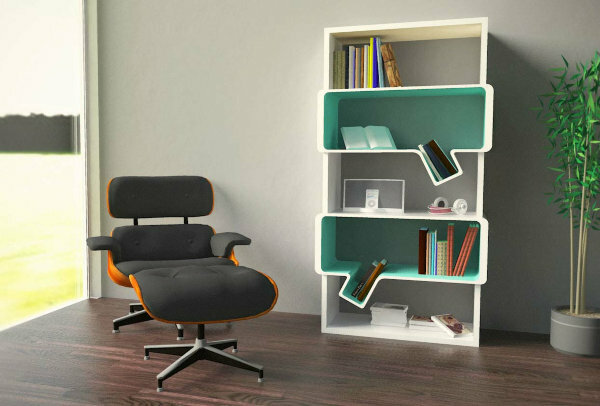 With a little effort, even the most practical of bookcases can add personality to your space.